I bought a Sacai dress in 2011 and it is still one of the more interesting items in my closet. Because of that, I wear it all the time and it never feels dated. Now I’m eyeing a top—I’ve no doubt that we will see one or all of the above on showgoers next month. 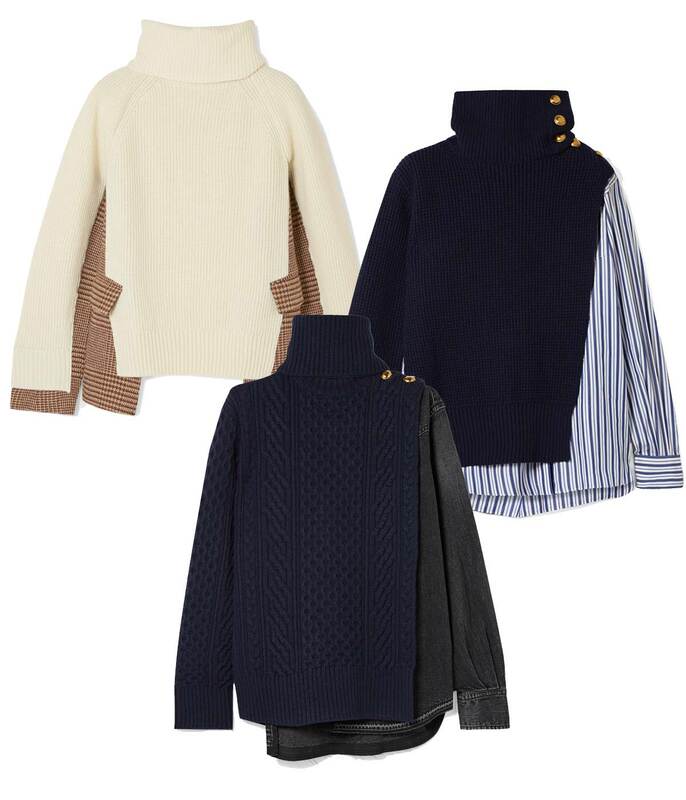 What makes them so great is that they look like layered separates, yet are a hybrid of a sweater and shirt pieced together—talk about grab and go. White, navy sweater and denim, navy sweater and striped cotton-poplin. I really love this. Especially with the skirts, etc. shown via the links. I don’t know if I could ever pull it off, but I think its very ingenious and fun. Love all of these! Might have to wait until they hit outnet.com! !